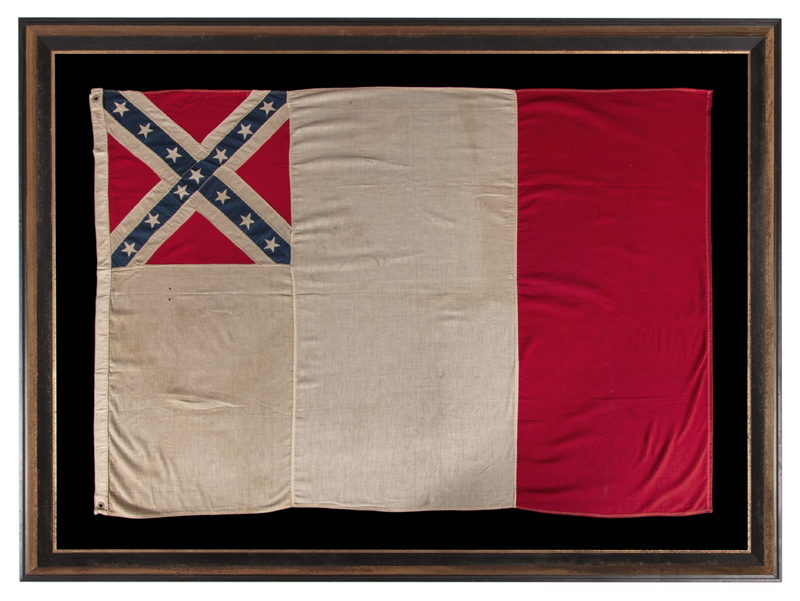 Interesting and unusual example of the third format of the National Flag of the Confederate States of America, made during the reunion era, either for use by the United Daughters of the Confederacy (UDC) or the United Confederate Veterans (UCV). Founded in 1884 and 1889, respectively, these two groups served as the primary post-war organizations for Confederate soldiers and their families. The women actually organized first, because it was viewed as safer for them to assemble under the watchful eye of federal authorities. 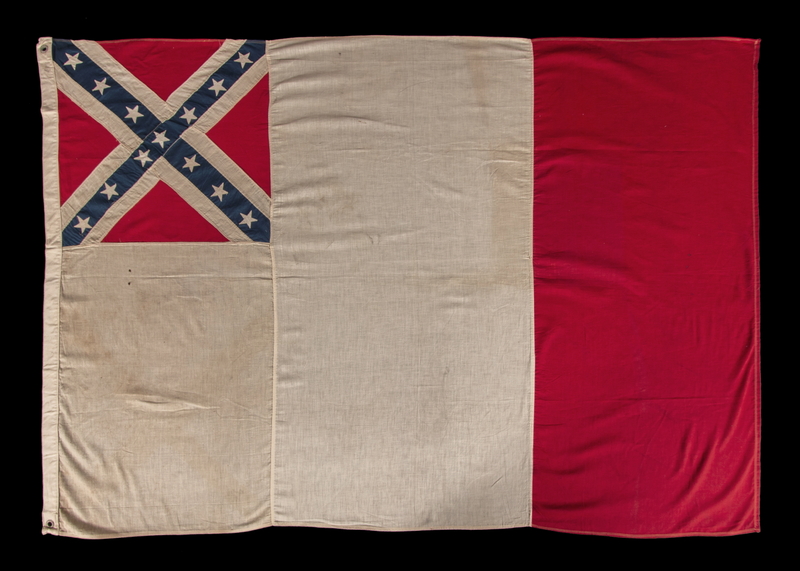 The Confederacy had three successive national designs, of which this was the last, in official use for just 36 days before Lee's surrender at Appomattox. 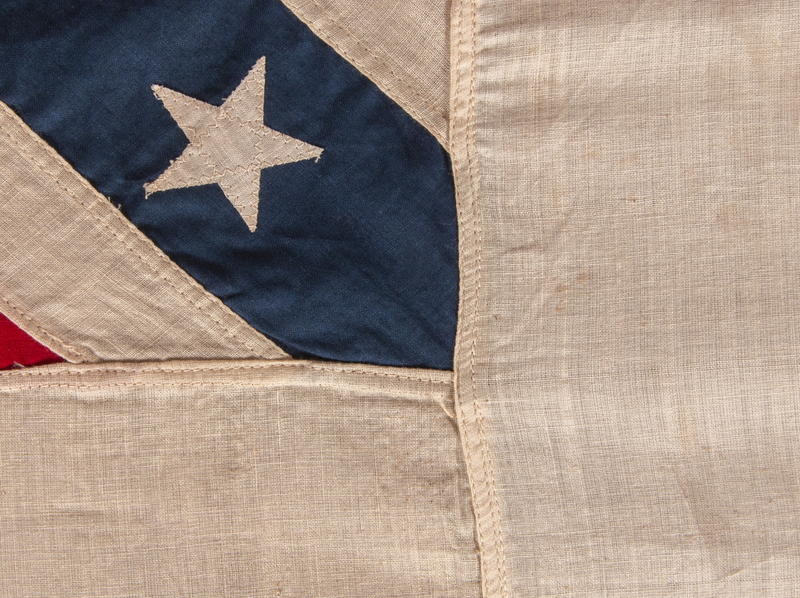 The First Confederate National Flag looked much like the Stars & Stripes. Also known as "The Stars & Bars," it initially consisted of 7 white stars arranged on a blue canton and a field of three linear stripes, which were instead termed "bars" (2 red with 1 white in-between). As more states seceded, more stars were added, with a total of 11 officially seceding by way of popular vote, followed by ratification of the respective state legislatures, plus the States of Missouri and Kentucky sometimes included. The later were accepted by Confederate President Jefferson Davis, despite their being Border States with divided views and less formal achievement of secession. Use of the Stars & Stripes and the Stars & Bars on the same battlefield created great confusion. For this reason, the Second National Confederate flag was adopted on May 26th, 1863. Known as the Stainless Banner, it was white in color, with the Southern Cross (a.k.a. the Confederate Battle Flag) serving as its canton. Soldiers and officers alike disliked this design because it looked too much like a flag of truce, especially if a unit that was carrying it was headed straight at you and there was no cross wind. If given the opportunity, so the story goes, soldiers would dip the fly end of the flag in blood to provide color. Near the war's end, a red vertical bar was added at the fly end and the result became the Third National design. 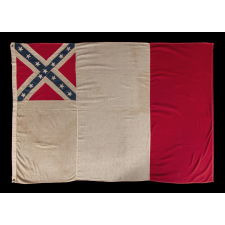 Nicknamed the “blood stained banner,” the red did not officially represent blood, according to the Confederate legislature, but rather paid homage to the French, which lent aid to the South during the war. If one were to replace the first two thirds of the Third Confederate National Flag, adjacent to the hoist end, with a blue vertical bar, the result would be the French tri-color (the national flag of France). 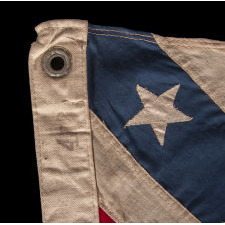 Major Arthur Rogers, however, who redesigned the flag, noted the inadequacies of the Stainless Banner as a military signal and described this new version as having "as little as possible of the Yankee blue." Many people are surprised to learn that the Southern Cross, by itself, was not the national flag of the Confederate States of America. Officially, in rectangular format, it served as the Confederate Navy Jack. 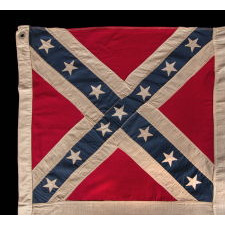 In square format it came to be called “the battle flag”, partly because it was carried for that purpose by both Lee and Beauregard’s Armies, and others. It also received widespread love in the South because the second and third national designs were not particularly admired by Confederate soldiers, the second for reasons previously stated and the third because the design was so short-lived. The flag is made entirely of cotton. The panels of white, red, and blue cloth are pieced with machine stitching. The 13 stars are double-appliquéd (applied to both sides) with a zigzag machine stitch. There is a heavy, twill cotton binding along the hoist with 2 metal grommets. These appear to be brass with traces of white metal plating. 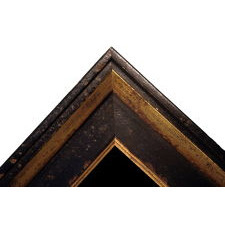 The designation “4 x 6” is stamped or stenciled along the hoist, on the obverse (front), near the top, to indicate size in feet. Because the lifespan of the Third National Confederate Flag was so short, it was not carried in the field and effectively never produced. War-period examples are effectively non-existent. 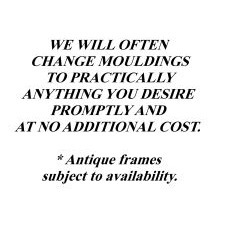 I sold the only example that I believe to have survived to the present, and am aware of no others in either private or museum collections. 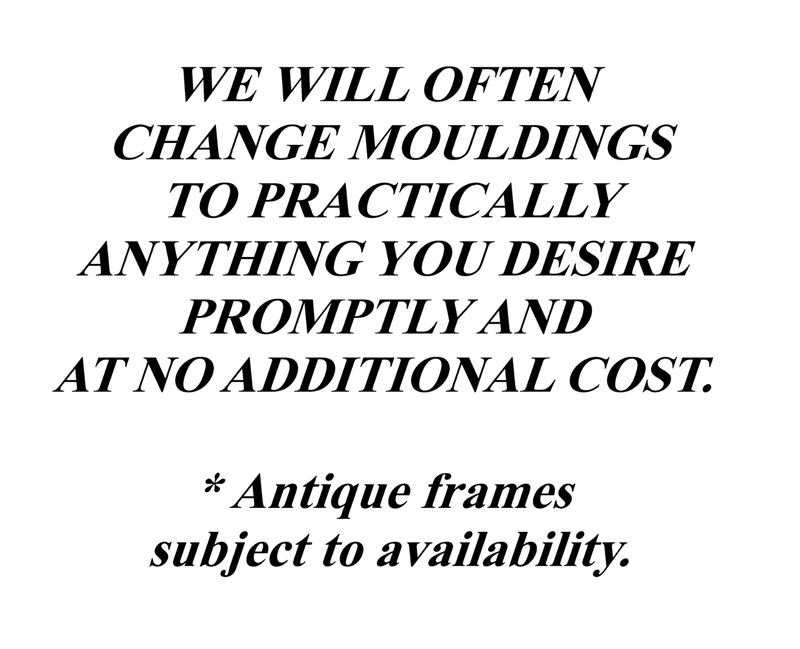 In spite of this fact, the Third National format somehow gained popularity during the reunion era. Here it can be encountered primarily in printed parade flags. The flag that is the subject of this narrative is one of the few examples of this period that one will encounter with individually pieced-and-sewn elements as opposed to printed construction. Another reason why the flag is so interesting can be found in its proportions. The cantons of flags in the Third National style typically stretch about 2/5 of the overall length of the fly, and consume approximately 3/5 of the overall height on the hoist. In this case, however, note how the canton is actually less than 1/3 of the flag’s overall length, while the height is significantly less than 1/2. 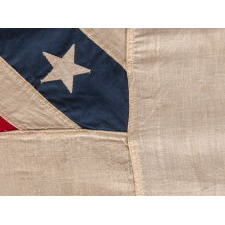 The field of the flag is effectively sewn in three vertical panels (white, white, red), with the tiny canton placed above the first panel, that happens to be slightly more narrow than the following two. The tiny canton lends itself to a whimsical and unusual appearance. Also unusual is the narrow swath of the blue in St. Andrew’s Cross, which is practically the same width as the white on either side. One can’t help but wonder if the intent of the maker of this particular flag was even more bent towards minimizing the color of the Union. 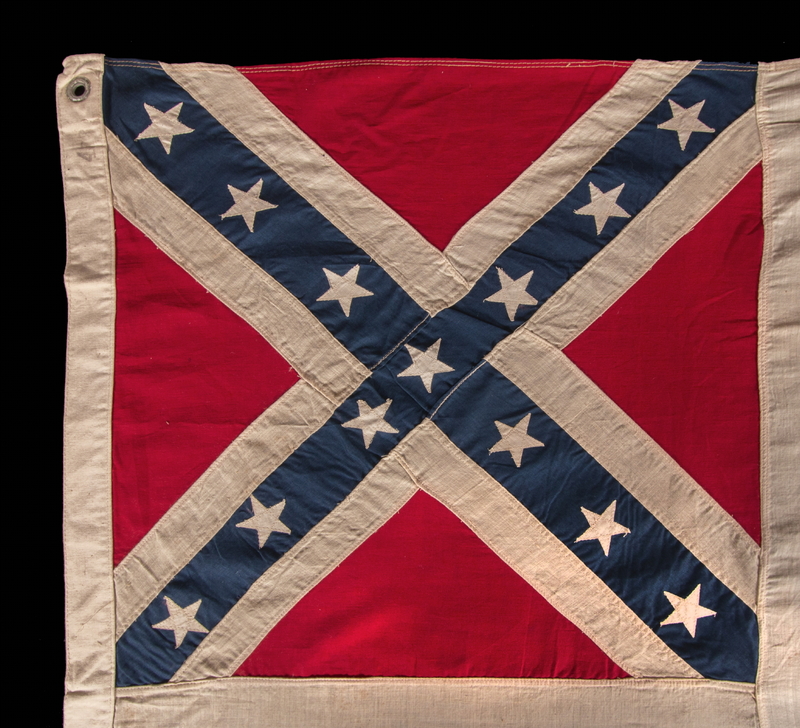 For several reasons, interesting pieced-and-sewn Confederate flags, produced during the reunion era are few and far between. One is simply the amount of time it took for Confederate veterans to organize. This created great disparity between Confederate reunion flags and Union Army veterans’ group counterparts. Two is a factor of widespread economic hardship in the South. Brought about by the Civil War itself, this prevailed long after the war’s end and reduced demand for reunion-related goods. The fact that the South lost probably also played a role in the lack of veterans’ material, especially in the early years of the UDC and UCV. Because the earlier material tends to be much more interesting, in addition to more rare, this increases the demand across the board. 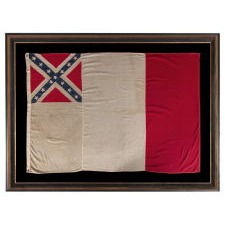 Because war-period examples of the Third Confederate National Flag basically don’t exist, as well as for all of the reasons hereforeto described, this particular Third National pattern Confederate flag would be an excellent addition to any Civil War flag collection. Condition: There are a couple of tiny dark stains below the canton, repeated in the red bar near the fly end. 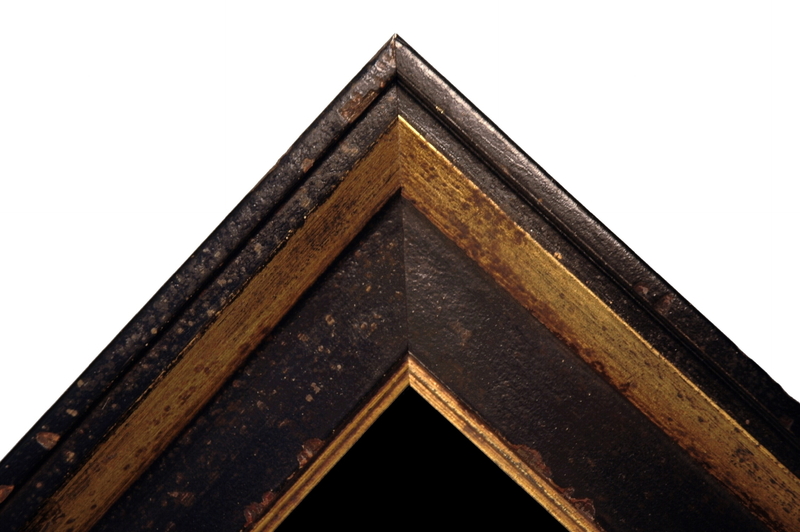 There is minor to modest foxing and staining elsewhere, and there is corrosion of the metal grommets. Many of my clients prefer early flags to show their age and history of use.